This photo of the first slippery slide, swing set, and teeter-totter in Laird Park was taken March 19, 1950. At that time, only four houses had yet been built on the 1800 block of Princeton, three of which can be seen in the photo. The 1800 East blocks of Princeton and Laird Avenues were the last two blocks to be developed in the Yalecrest neighborhood, and that occurred mostly in the early 1950’s. In the distance is the original Bonneville Elementary School on 19th East which was completed in 1949. In 1950, new Sanborn Fire Insurance Maps were created for Salt Lake City, coincidentally the same year this Laird Park photo was taken. Sanborn Fire Insurance Maps are maps that contained information used by insurance companies to determine the liability of buildings, such as the materials used to build them, their proximity to fire departments and other structures, the location of gas lines, and other information. Sandborn maps are also a great tool for doing historical research. The houses on Princeton that were built by March 1950 precisely match the houses appearing on the 1950 Sanborn map for the area. Conversely, the lots for houses not yet built show as empty lots. The photo and map together establish the accuracy of the date of the photo as well as the accuracy of the information appearing on the map. The parcel of land now known as Laird Park was obtained by Salt Lake City in a land swap between the LDS Church and the city in June 1945. The land had previously been owned by the LDS Church, and was exchanged for a portion of the west part of Miller Park, located along Red Butte Creek between 9th South and 15th East, owned by the city. Miller Park was created in 1935, ten years prior to this land exchange, after a large section of land was gifted to the city by Mrs. Minnie W. Miller. Mrs. Miller lived on Yalecrest Avenue in a home backing the creek. She was a renowned rancher and livestock breeder, and gave the land to the city in memory of her deceased husband, Lee Charles Miller, on the condition that it be used as a public nature park and bird refuge. Over the next decade there was significant development in the area with accompanying population increase. Membership in the LDS Yalecrest Ward had gotten so large that in 1941, the ward’s boundaries were split along 17th East to create the Bonneville Ward. There was no suitable available spot within Bonneville Ward’s boundaries between 15th East and 17th East to build a chapel so the ward petitioned the city in 1944 to acquire a portion of the west part of Miller Park to build one. The upkeep of Miller Park had not been ideal, and after Mrs. Miller reacted favorably to the architectural plans for the proposed church building, she gave her blessing to the city to proceed with the land exchange. The Church obtained the portion of Miller Park so the Bonneville Ward and Stake Center could be built, and Salt Lake City obtained the parcel of land on the east side of 18th East between Princeton and Laird Avenues, allowing it to become the public city park we know as Laird Park. I remember the swings and teeter-totter in Laird Park from my childhood years in the 1960’s. 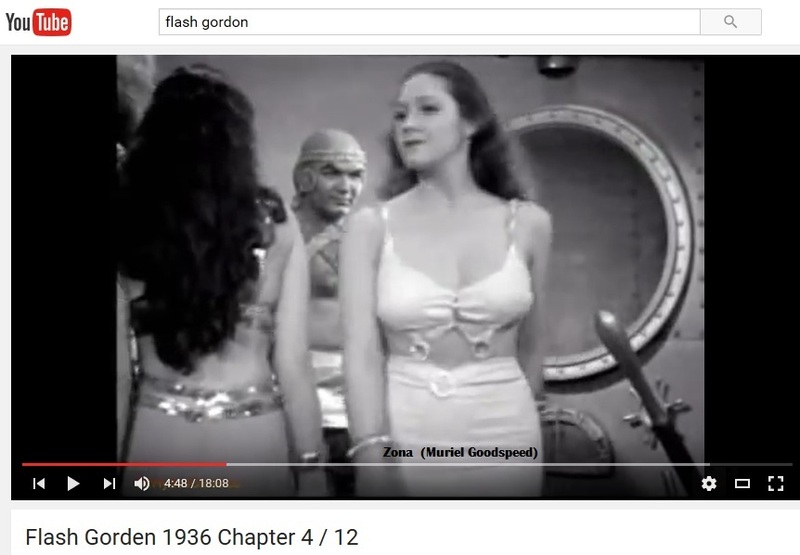 By then though, the double slide in the photo had been replaced by a single and perhaps taller metal slide. My favorite thing to play on there was the spinning merry-go-round-like disk that was obviously installed after the 1950 photo was taken. I’m not sure now why being spun into a delirium of dizziness was so much fun back then, but it was. Unfortunately I don’t have a photo of that disk, but I bet that nearly every kid that played on it probably at some time got hurt on it somehow, yet healed quickly and came back to play on it again. That disk and slide were made of metal and soaked up the hot summer sun sometimes enough to burn my hands and legs, yet I still played on them and came back for more. Eventually all of those metal park fixtures were deemed too dangerous and replaced with “safer” equipment made largely from plastic and geared toward much younger kids. The generosity of Minnie W. Miller played a large part in the development of the Yalecrest neighborhood. Without her gift of land to Salt Lake City in 1935, Yalecrest may have never enjoyed the benefits of having the Bonneville Ward and Stake Center and Laird Park. Many school building facades constructed a century ago displayed ornamental terra-cotta features such as an emblem showing the year the school was built aesthetically placed at the top of the building. Such was the case with the old Uintah Elementary School which stood at 1227 South 15th East between 1915 and 1993. Chances are though that no one today under age 95 who has lived in the area or attended school there ever saw it or even knew of its existence..
Uintah School’s emblem was an artistically designed shield that clearly read “1915,” the year Uintah was built. It was not located over the school’s front door facing 15th East however; but rather on top of the south wall of the school’s east wing facing 13th South, outside of the school’s auditorium located on the second floor. The school was enlarged in 1927 with a two-story addition to the south end of the east wing, adding what most of us remember being the classrooms for the Fifth and Sixth Grades. Unfortunately, the hallway connecting that addition of classrooms to the original building permanently blocked the view of that “1915” shield beginning in 1927, or at least until one day during the summer of 1993 when the school was being torn down. The 1993 razing of the school started with the Fifth and Sixth Grade classrooms in the school’s southeast corner, working northward and counter-clockwise around the “U” shaped building, as evidenced in the following photo that I took myself. Had I known about the 1915 shield, I would have probably moved to a different vantage point to take a photo that may have shown it. I attended school there between 1965 and 1972 and only very recently became aware of it when looking at the 1915 photo more closely. The very top right corner of the terra-cotta emblem background can be seen in this demolition photo. In the school’s 78 years of existence, that ornamental shield was seen only during Uintah’s first 12 years plus perhaps just one day during the summer of 1993 before being reduced to a pile of rubble. Sadly, this is just another instance where Yalecrest has lost a piece of its history, only this loss came very early. Gone essentially 90 years, it’s as if that emblem giving Uintah its place in time never existed at all. 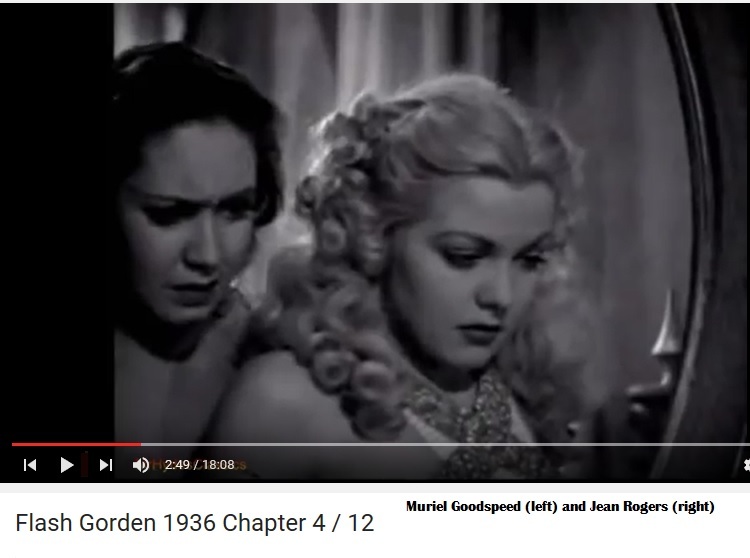 Last year, we made a post about Hollywood motion picture actress Muriel Goodspeed who grew up at 1559 Harvard Avenue. 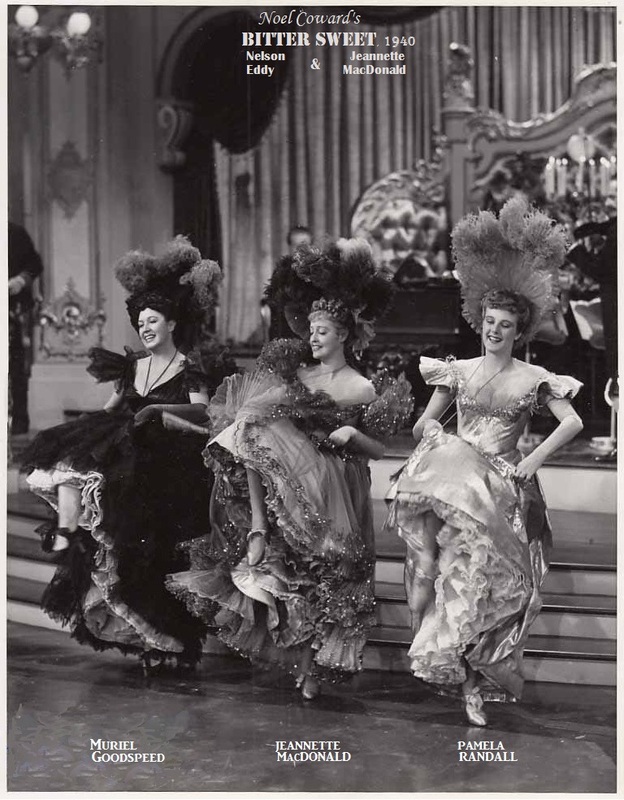 We wanted to revisit Muriel briefly because today is the 100 year anniversary of her birth. She was born May 1, 1917 to Alvin and LaVon Goodspeed. 1559 Harvard was built in 1917, so it also 100 years old this year. The Goodspeeds moved in to their brand new home with infant Muriel soon after it was built. 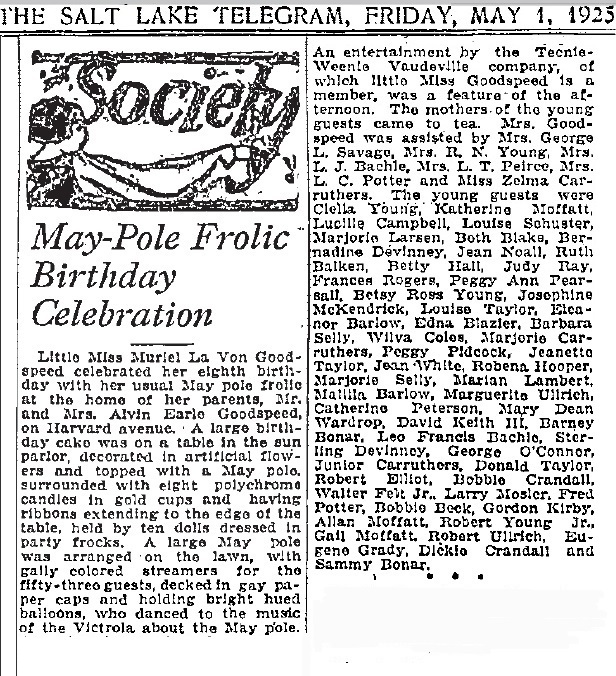 With a May Day birthday, Muriel had several birthday parties with a maypole on the front lawn and coverage on the newspaper society page. 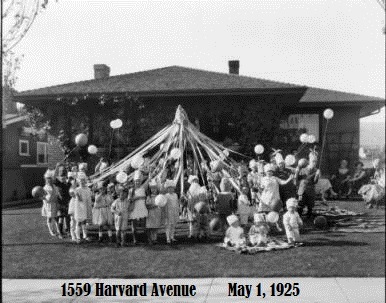 Last year’s post included a photo of Muriel’s 8th birthday maypole in 1925. Since then we have discovered this photo, taken at Muriel’s 11th birthday party on May 1, 1928. Besides dancing around the Maypole, the party included a miniature orchestra and a contest of dolls brought to the party by Muriel’s guests. 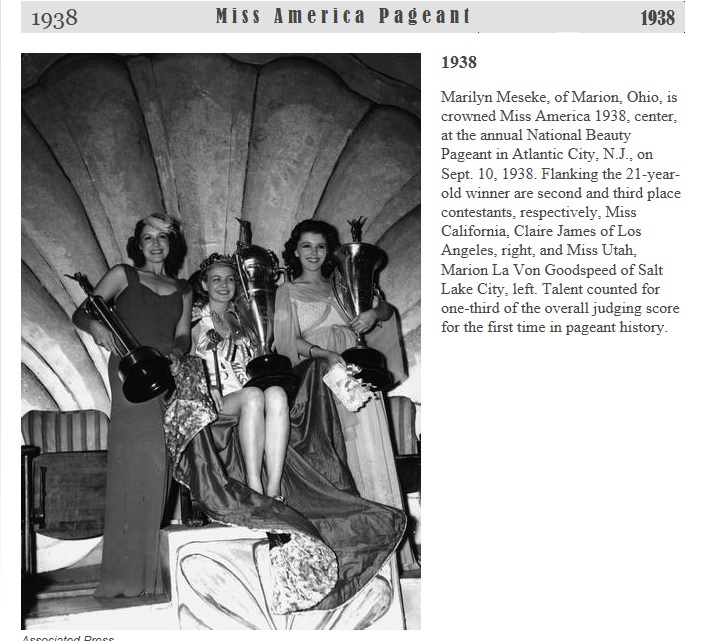 Muriel’s doll, “Miss Utah,” was named “Queen of the May” and at 6 o’clock, a special radio program was presented that included Maypole dance music. The Salt Lake Telegram news story provided a list of all the party guests. 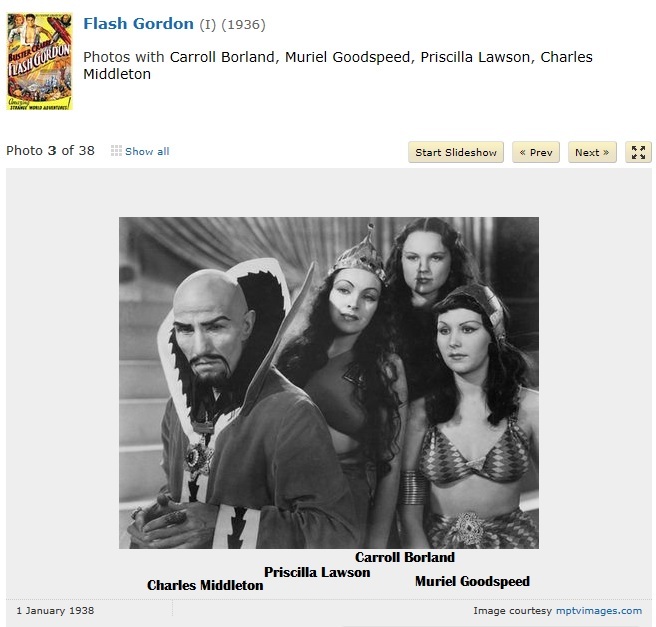 Unfortunately, none of the names of the party guests are matched with the faces of the children in the photo, not even Muriel’s. Perhaps someone will be able to identify some of the children. Please post a comment if you do. Following are close-ups of the same photo, zoomed-in to see the faces more clearly. It is likely that most of the children in the photos lived in the neighborhood. Following are the names of the party guests from the newspaper article. I have added the addresses of some of the children that I have learned from other research. Guests: Clella Young, Louise Shuster, Lucille Rich, Lois Gill, Beth Rich, Elda Garfield, Phyllis Done, Bernadine Devinny, Katherine La Con, Betty Fowlks, Katherine Johnson, Robenia Hooper (1511 Harvard), Adele Squires (1604 Harvard), Jeanette Taylor, Eleanor Barlow (1572 Harvard), Katherine Moffat (1560 Harvard), Frances Rogers (1452 Gilmer), Katherine Peterson, Louise Johnson, Edna Glazier, Ruth Greenwood, Belva Stevenson, Verna McMurdie, Mary Dean Wardrop, Myrtle Black, Peggy Pearsall (1554 Harvard), Helen Davis, Mildred Houck, Mary Alice Baker, Emilie Seigle, Bernice Smith. Marjorie Carruthers, Ruby Wardenburg, Betty Peery (1435 Yale), Delina Perry, Betsy Ross Young, Mary Snow, Helen Gabbie, Helen Hagen, Erma Hickman, Elaine Hickman, Betty Davis, Meryl Romney (1337 Gilmer or 1442 Princeton) (sister of future Michigan Governor George Romney and aunt of Mitt Romney), Joyce Livingston, Shirley Price (1536 Harvard), Marjorie Selley (1503 Harvard), Arlow Lesler, Veda Adams, Ruth Snow, Luana Gowans, Marilla Barlow (1572 Harvard), Elaine Openshaw, Jane Rawlins (1506 Harvard), Leo Francis Bachle, Sterling Devinny, Elman Snow, Neco Vancina, and LeRoy Nesbitt. The Harold B. Lamb house at 1327 Michigan Avenue, a distinctive two-story home of the Prairie School design, was built during the last half of 1915 and has therefore just reached its 100th birthday. Susanna Bransford Emery Holmes, whose massive fortune in silver mining earned her the title, “Utah’s Silver Queen,” financed the home’s building for her nephew Harold Bransford Lamb, the son of Susanna’s sister, Viola Bransford Lamb. Viola died after giving birth to Harold in 1886, and Susanna took in Harold to raise as her own. Harold and his family moved into the house when it was new. He died nine years later of appendicitis. He was only 38 years old. The old photo of the house, from the Shipler Commercial Photographers Collection of the Utah State Historical Society, was taken February 9, 1916, 100 years ago. The new photo was taken February 9, 2016.